Cities: Skylines publisher Paradox Interactive has teamed up with education company TeacherGaming to create a series of lesson plans based on Colossal Order’s 2015 city-builder. TeacherGaming adapts games for teachers to use in K-12 classrooms, and Cities: Skylines is probably the most recognisable title on the roster to date. Paradox says the eight lessons they’ve helped create cover subjects ranging from sustainable city planning and engineering to active citizenship and government. Each lesson comes with a lesson plan for teachers, plus new tutorials specifically designed for the classroom. While Paradox’s games are typically on the ‘thinky’ side, using them as actual educational tools is uncharted but important territory for the company. 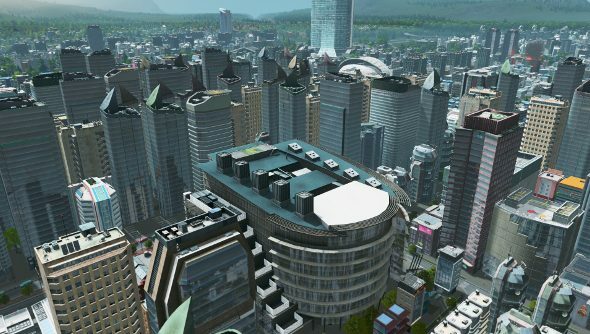 Cities: Skylines is on our list of the best building games on PC. One example lesson plan focuses on urban pollution. It provides links to a wealth of online resources on the topic and gives a basic breakdown of key concepts. Then it guides teachers through a demonstration of a pollution-focused Cities: Skylines scenario, with some tips to give students to help them apply what they’ve learned. Schools can subscribe to TeacherGaming’s services for as little as $150 per school per year, although the price scales with the number of students. Lesson plans for Cities: Skylines, as well as 34 other titles, are included with the subscription.